Contains: 6-1/4" Lineman's Pliers, 6-1/2" Needle Nose Pliers With Cutter, 5-1/2" Side Cutting Pliers and 6-3/4" Slip Joint Pliers. 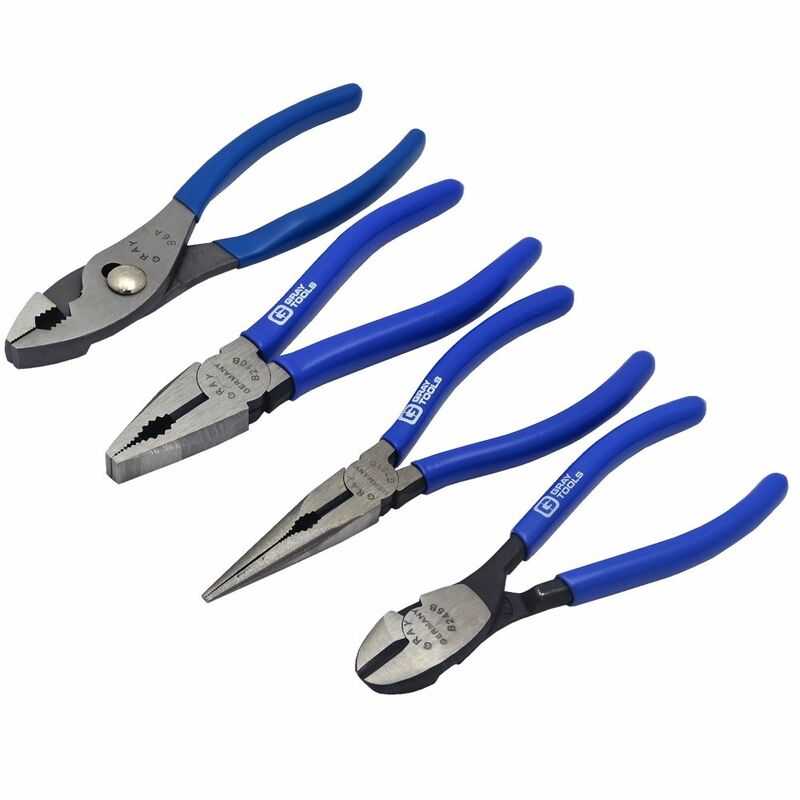 4 Piece General Maintenance Plier Set The pliers in this 4 piece general maintenance set are drop forged from specially chosen tool steel for superior strength, flexibility and longer tool life. Precisely machined serrated teeth provide a safe and secure hold of any object. Made in Germany and backed by Gray Tools worry-free lifetime warranty.